Cyber will undoubtedly be part of any future conflict and the Army is looking to bolster the role of cyber in exercise scenarios. 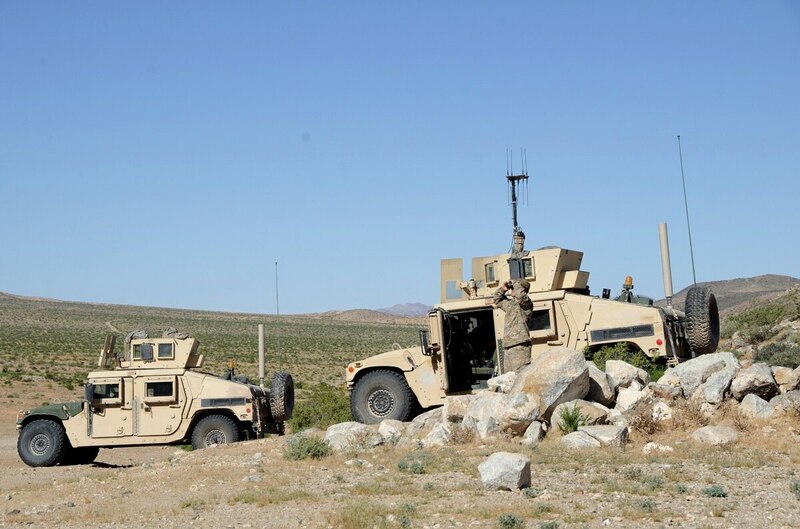 Most notably, the National Training Center at Fort Irwin — working with Army headquarters, Training and Doctrine Command, as well as Forces Command — is experimenting with how to insert cyber capabilities at lower, tactical levels. This is done through a pilot program, sponsored by Army Cyber Command, called Cyber and Electromagnetic Activities Support to Corps and Below (CSCB). In this role, the center provides the infrastructure to allow brigades to test their cyber exploits while accompanying small units on the ground. That means the center must be prepared to at least simulate capabilities during scenarios. With the Department of Defense now shifting to a great power competition, all rotations at the center are focused on what the Army calls “decisive action” scenarios — essentially a two-week campaign against a near-peer adversary with insurgents and civilian actors mixed in. “We’re trying to make this the hardest fight that a brigade ever is going to fight,” Brig. Gen. Jeff Broadwater, the center’s commander, told Fifth Domain during a recent visit to observe the pilot. Broadwater added that the center is constantly trying to improve its infrastructure to make the scenarios as realistic as possible. The Army's new 10 year vision statement envisions a rise of "irregular warfare." Today, the brigade interacts with a mock internet, one that includes a social media feed to include a specialized mock version of Twitter called “Tweeter.” They also can take advantage of CCTV cameras in the mock towns that the units will assault. All these avenues are points to be exploited, but are also vulnerabilities. “We want to make the brigades aware of this capability. Both how to defend against it and then how to potentially look for an opportunity to utilize that in a system where it might be being able to exploit something in a town through videos or cameras to help them set up or see inside an area prior to going in to attack the town,” Broadwater said. Despite the advancements made at the center, there are still limitations. “Trying to replicate that particular capability in a training environment is tough,” Col. Robert Magee commander of 3rd Armored Brigade Combat Team, 1st Armored Division, the rotating brigade, told Fifth Domain. In some cases, the effects of the new teams at the tactical edge are simulated. Funk said the pilot is more about testing integration of the cyber and EW capabilities with brigade staff and tactical units. The center’s leadership is helping to simulate certain effects, especially remote capabilities. “We’ll employ things to simulate effects and that’s mostly what we do to try to make sure that [the brigade] understand[s] there’s an end state that needs to be achieved from an operations perspective,” said Capt. Adam Schinder, expeditionary cyber support detachment commander. Schinder added that the brigade combat team can see changes in the enemy’s posture. Many officials Fifth Domain interviewed explained how it’s important for the brigade to see the results of the effects as they integrate with the expeditionary cyber teams in order to build trust and confidence going forward.